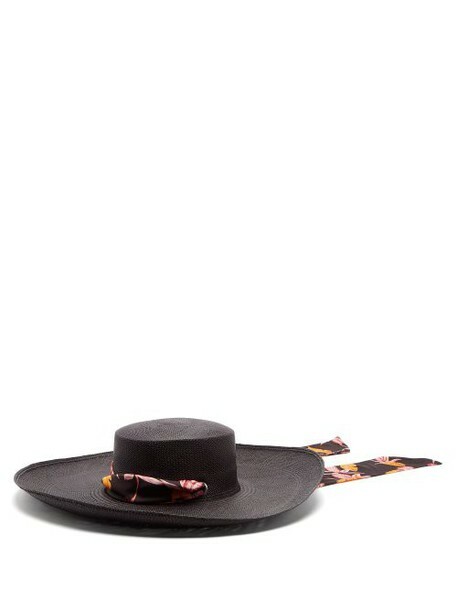 Sensi Studio - Sensi Studio's black straw Cordovez hat will bring a tropical mood to summertime ensembles. It's handcrafted by artisans in Ecuador with black floral-print satin ties - note the vibrant orange and pink accents - that weave through the silver-tone metal eyelets punctuating the crown. Wear it above a white top and midi skirt as an insouciant flourish.